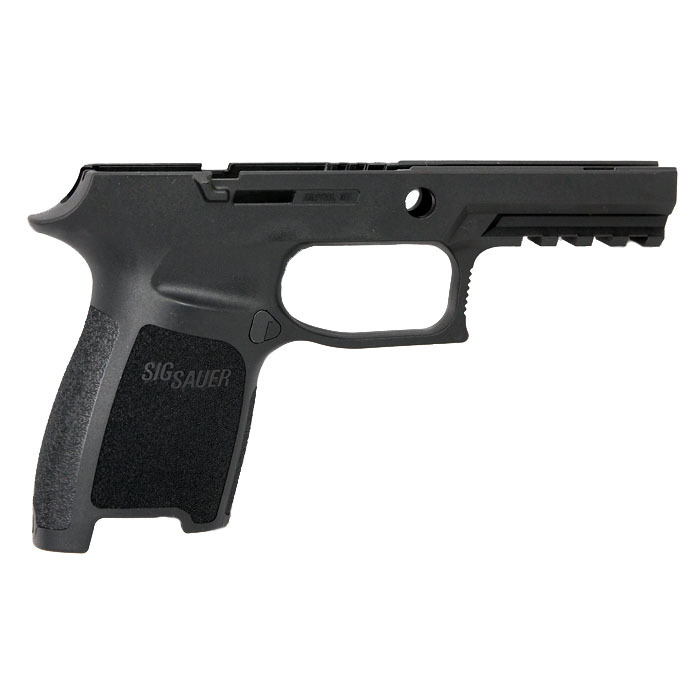 Factory Sig Sauer P250/P320 Grip Module allows the shooter to tailor the pistol to meet their specific grip size requirements. Black polymer construction and comes with the magazine catch installed. 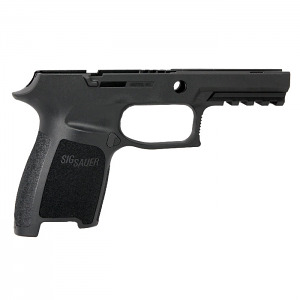 This is the large grip for the 9mm, .40S&W and .357SIG P250/P320 Compact. New style grip module with picatinny rail. Only new style P250 magazines will fit this module. Just what I was looking for. This was only place I could find it. Prompt shipping - I look forward to dealing with them again. The grip is exactly what I ordered and was delivered quickly. The large sig grip feels so much better than the medium the p320 compact comes with. I'm 6'4 and my hands seem to fight for room on medium but not I'm very comfortable and my shooting with this gun is more consistent. Product was as advertised. Factory original equipment. Gret price and shipping was on time and fast. Great sight for your firearm accessories. Moved to the top of my list. Ordering was a truly effortless experience, and Top Gun Supply provided outstanding customer service when I had a technical question regarding my order when received. I will definitely look to Top Gun Supply for my next order.